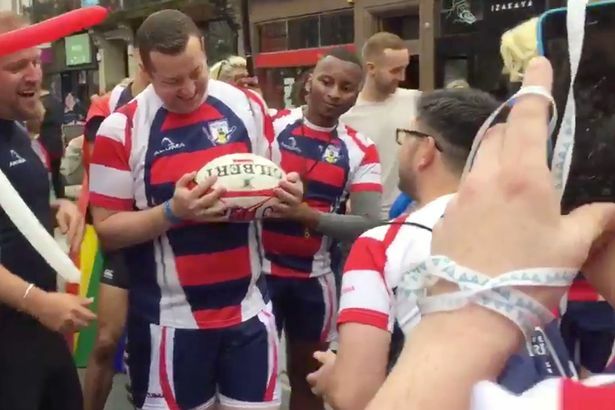 A rugby player proposed to his boyfriend during Liverpool Pride celebrations. While the members of the Liverpool Tritons Rugby Union Football Club stopped the parade for a group photo, one member of the group takes the opportunity for a romantic gesture. Stopping the parade in its tracks, Mark throws a rugby ball to his partner, Mike. With the words ‘Will you marry me’ written on the ball, Mark gets an immediate yes from his bewildered boyfriend. The crowd erupts into cheers of joy, as the two share a passionate kiss and loving hug. 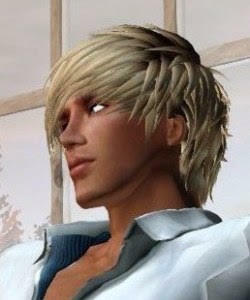 Liverpool Pride was set up in 2010 in response to the murder of young gay man Michael Causer in 2008. Since its beginning, the parade grows from strength to strength, with over 20,000 people in attendance this year.